Extra 10% off selected groups Save an extra at the checkout. Lastest model Dura Ace R9100 series disc brake groupset. Mechanical gear shifting with hydraulic braking. Disc brakes supplied in J-Kit form for easy assembly. Ready bled. Please Note: Disc Brake Rotors are not included. The best group set I ever got. So smooth and so light. The disc brake system is hydraulic but easy to install after watching some instructions on youtube. Merlin cycles shipped super fast. Items delivered in 4 days, from UK to USA. Thank you for your great service. 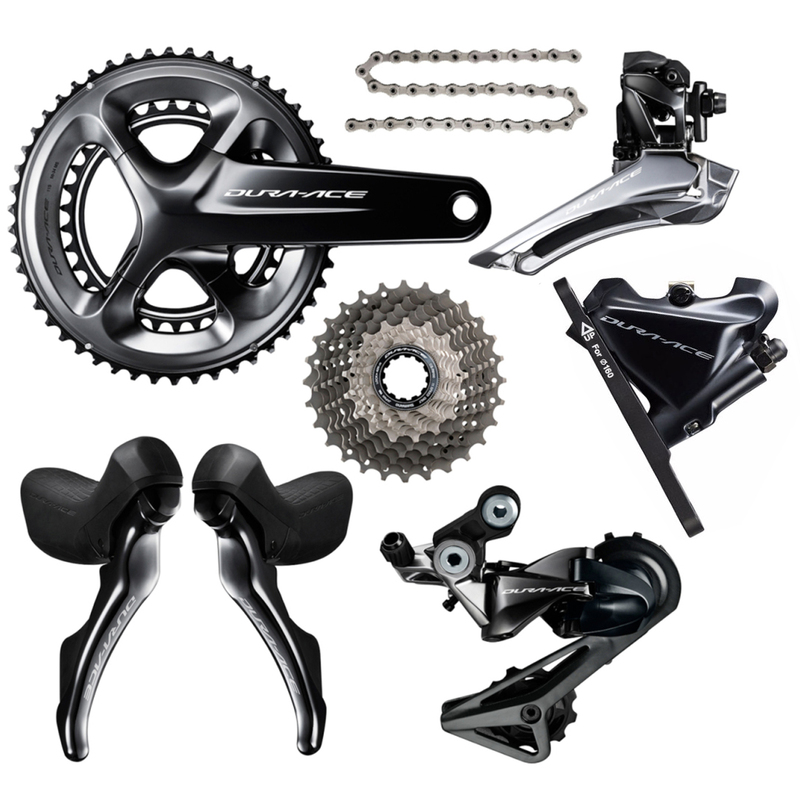 This Shimano Dura-Ace mechanical Disc groupset is everything one would expect from Shimano top of the line family: smooth, precise, light and built to last forever. It just works.